In Part I and Part II of this series, I detailed what to get your barn child and a youth/junior equestrian for the holidays. Now I am moving onto my age group – adults! Obviously these lists can cross over. I know quite a few adult riders that adore My Barn Child charms, and there may be some things on here that the junior or youth rider would want. These lists are just meant to be idea generators for those of you that have horse lovers in your lives but have NO idea what to get them. Or, you might be making your holiday list and aren’t sure what to ask for (a rarity in the equestrian world, I know). – Back On Track Products: Back On Track makes products that are designed to work with a horse’s natural body heat to promote the health of joints, muscles, tendons, and ligaments. I’ve used many of their products with great success on my horse who has mild arthritis and a sore back. Back On Track also makes human products that work the same way. They have a whole bunch of products, such as knee and ankle braces, neck braces, gloves, and long underwear (to name a few). My trainer who has lower back issues purchased the back brace after she injured her back over the summer. She used it while teaching lessons, and she recommends it to people who ask her about it. Adult riders are no strangers to riding related injuries (or is it old age? who knows), and Back On Track products are definitely great for helping alleviate some of the issues we may have. Back On Track knee brace. – 101 Jumping Exercises for Horse & Rider : Gridwork is a great way to improve a rider’s and horse’s jumping skills. This book has tons of exercises that vary by experience level and by what the rider and horse are trying to work on. The exercises start with ground poles and work up to bigger, more complicated jumps. Each exercise includes tips, benefits, and how to know if the exercise has been successful. This is a great gift idea for a trainer or someone who wants to improve their jumping skills, whether they show in the hunters, jumpers, equitation, or just jump for fun! There are also two other books in the series for dressage riders, 101 Dressage Exercises for Horse & Rider , and 101 Arena Exercises for Horse & Rider , which is for English and Western riders. 101 Jumping Exercises for Horse & Rider by Linda Allen. To check out her work, you can visit her website here. Naya is located in central New Jersey. If you would like to book a shoot, make sure to mention The Legal Equestrian. Other photographers include: Horse Sense Photography (Georgia); Northern VA Equine Photography (northern Virginia). Photo Courtesy of Northern VA Equine Photography (MacKenna). DO NOT USE WITHOUT PERMISSION. – Le Fash: I am a HUGE fan (addict?) of Le Fash clothing. They are the first crossover equestrian clothing brand meaning their clothes can be worn while riding and while working/going to school/running errands. I have a few of their shirts, and I personally have worn them with my work suits. Their clothes make it incredibly simple to change if you are rushing to a riding lesson, or just to ride, after work. Just pull off your pants and pull on your breeches! Le Fash just released its Spring 2015 collection which is gorgeous as usual. They also are offering a limited selection of junior size City Breeches, which are one size down from their smallest adult size. Their shirts are well-made and extremely flattering. I am always amazed by how well they fit. I’ve gotten tons of compliments – both at the barn and at work – on their pieces. Their City Breeches are also amazing quality and fit really well. Le Fash is worn by many top riders including Jen Alfano, the hunter queen, Maggie Jayne, who is well-known in both the hunter and jumper rings, and Hunter Holloway, who has seen great success in the hunter, jumper, and equitation rings. If you can afford the price tag, definitely check out their clothing for that favorite adult rider in your life. They will certainly thank you. Le Fash Sport Shirts & Upper East Side City Breeches. Lauren Mahoney modeling the Pistachio CC Long Sleeve & Central Park City Breeches. Photo Credit to Le Fash. – Mack & Jane leather cuff: Equestrian inspired jewelry is making the rounds, and I love these gorgeous leather cuffs from Mack & Jane. They are handcrafted in Pennsylvania and were recently included in swag bags at the Oscars and the Emmy Awards. The cuffs can also be personalized with initial charms. They are classy and beautiful, suitable for a fancy night out or as an accessory to a work outfit. The cuffs are a great way for any equestrian to express their passion for riding without being too over the top and tacky. If you are interested in these pieces, you can visit the Mack & Jane website here or email Jane for more information. Mack & Jane Equestrian Inspired Leather Cuffs. Photo Courtesy of Mack & Jane. – Gift cards: Sometimes you just have no idea what your favorite adult equestrian might want which is where gift cards come in handy! You can get them one to their favorite tack store or simply get them an American Express, Visa, MasterCard, or Discover gift card that they can use anywhere. Equestrians always appreciate extra money, especially because we never know when our horse will need that emergency vet call or throw a shoe. Or may be simply want to splurge but don’t have the money because horses eat it all (yes, hay is actually money disguised as forage). No matter what the value of the gift card, it will definitely be appreciated. – Breeches: As I said in my teen gift list, a rider can never have too many breeches! There are many good quality brands out there, so I won’t name all of them. Another awesome thing is that many companies have invested in making plus size friendly breeches. Just like with injuries, aging also isn’t kind to weight loss which becomes harder after children are involved. There is a breech out there for everyone and every budget, and it’s just a matter of finding it! I personally like Tailored Sportsmans, SmartPak Pipers, and Le Fash. Other popular brands include Tredstep, Pikeur, Irideon, and Lo-Ride. Tailored Sportsman Trophy Hunter Low Rise Breeches in Redwood. Pikeur Ciara Knee Patch Breeches in Anthracite. – Sports bras: This is probably a weird gift idea, but equestrians can always use more sports bras, so if you have the type of relationship with your equestrian friend/girlfriend/whatever, GET THEM SOME!! My favorite sports bras are from Old Navy. They’re good quality, true to size, and come in different styles. Also, if you sign up for Old Navy email alerts, they literally are always running some sort of crazy almost too good to be true sale. I’ve gotten 10 things from them before for $100 – yes, $10 an item, and I bought v-necks, sports bras, and jeans. If you’re on a budget and need something that will definitely be appreciated, these are definites on that list! Old Navy padded sports bra. – Yoga for Equestrians: A New Path for Achieving Union with the Horse : As we get older, we sometimes get less flexible, less balanced… well, less everything. Yoga is actually a great exercise to assist with balance, flexibility, and working on our core strength which is really important for riding. This book has exercises designed especially for equestrians, and they will help any rider of any discipline. I have to confess I saw this book on the floor of my trainer’s car (she’s a major yoga junkie), and I decided to add this to the list. I have been wanting to start up yoga for a while because I’ve heard of its benefits for horseback riding (and I’m also a bit high-strung and tense at times). Whether you’re a beginner or a yogi master, these exercises specifically for improving your seat, communication with your horse, and even for when you’re on your horse or pony. 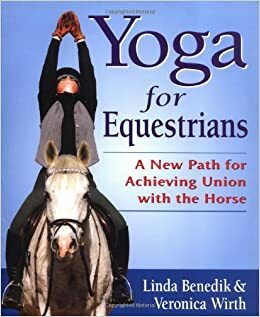 Yoga for Equestrians by Linda Benedik & Veronica Wirth. Hopefully these lists have helped you pick something out for your favorite equestrian, no matter what their age or discipline. I can say with confidence that if you’re ever in doubt as to what your horse obsessed friend/girlfriend/boyfriend/sister/mother/brother/daughter/son/etc. will want, money or gift cards to a tack shop are always a safe bet. what others are viewing right now. want to know when there's a new post? sign up now!